Russian President Vladimir Putin says he never called Donald Trump "brilliant" or "talented." When CNN's Fareed Zakaria asked Putin why he called Trump "bright," "brilliant" and "talented" and if he still would say that, the Russian leader said he only called the businessman "bright." "Why do you always change the meaning of what I said?" Putin asked. "I only said that he was a bright person. Isn't he bright? He is." Zakaria said he was using an Interfax News translation but said he was aware of some other translations that used "bright" instead of "brilliant." Putin, who was participating in a panel discussion at the 20th International Economic Forum, told Zakaria he welcomes Trump's stance on diplomacy with Russia. 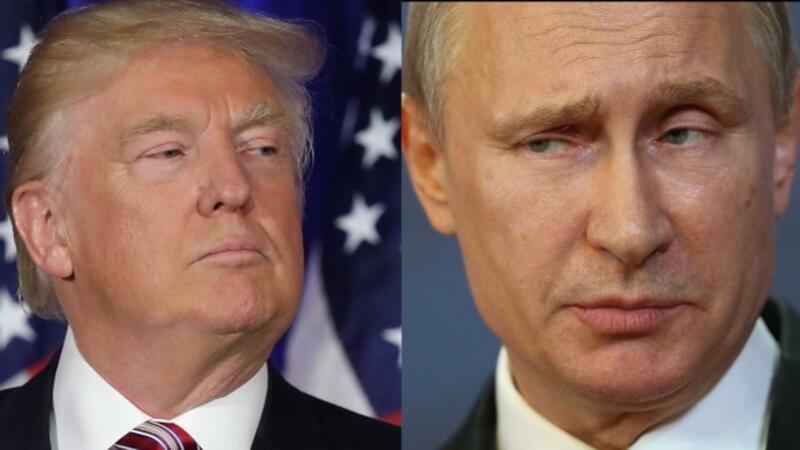 The Russian leader told Zakaria: "Mr. Trump said he's ready to restore full-fledged Russian-American relations. What can be bad about it?" However, he wouldn't say much on presumptive Democratic nominee Hillary Clinton. Putin's actually stayed relatively quiet on Clinton through this election cycle, but when asked in April about the former secretary of state, he used a Russian proverb saying "husband and wife are the same devil." He told Zakaria he was probably "impulsive" when making that comment. Putin said his country will work with whomever the American people choose as the next president. He said he's seen leaders change when they take on new responsibilities. But the presumptive Republican presidential nominee may be disappointed with the Russian leader's comments. Trump has repeatedly said Putin has called him a "genius" as recently as Thursday night during a rally in Dallas. "I think I'd possibly have a good relationship. I don't know. He's said some really nice things. He called me a genius," he told Fox News host Bill O'Reilly in April. "If we can make a great deal for our country and get along with Russia, that would be a tremendous — I would love to try." Putin's full interview will air on CNN on Sunday.